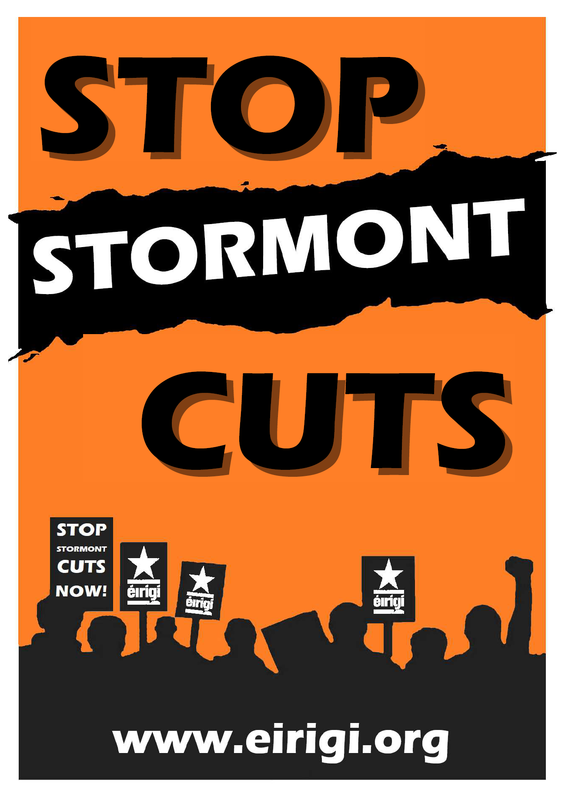 In December 2010 Stormont agreed a budget that would see £1,500,000,000 (£1.5Billion) slashed from our public expenditure. 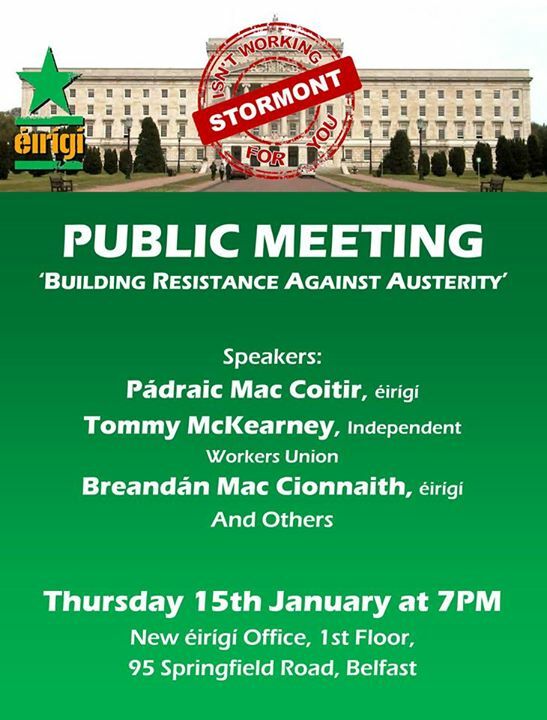 They have implemented this budget without hesitation and wreaked havoc across working-class communities in the Six Counties, with one Stormont Minister commenting that, “It would be a good Christmas present for the people…”. The Stormont coalition partners, Sinn Féin and the DUP, oversaw an economy where more than 100,000 people currently want meaningful work but cannot get it. 1 in every 4 young people aged 18-24 are without a job. 1 in every 5 children lives below the poverty line – this figure increases to 43% of children in West Belfast. Families struggle to pay for basic necessities such as food, heating or clothing. 21% of Pensioners also live in poverty. Nearly 40,000 households sit on housing waiting lists. They have closed the City Hospital Accident & Emergency department and the MS respite unit at Dalriada. Further closures are to come for minor injury units in Armagh, Whiteabbey and Bangor. Beds at the Mid-Ulster Hospital, Downe Hospital and Lagan Valley will be axed, adding additional strain across the board.